Jordan Brand will give us another taste of history as they release a commemorative edition of the Air Jordan 8 Retro this month. As part of the 20th year celebration of the first three-peat of Michael Jordan and the Chicago Bulls, the eighth Air Jordan kick will come out in Black/True Red-White colorway, which was the original “Away” colorway of this historic kick. The shoe sports a black upper part accented with red and white hints throughout the kick. 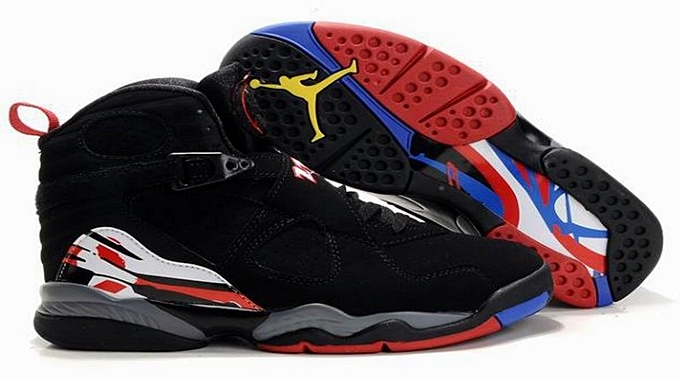 This may not be the best-looking Air Jordan 8 Retro that you’ll ever see, but this one is definitely a must-cop. Get it first on June 29 in different Jordan Brand retailers.